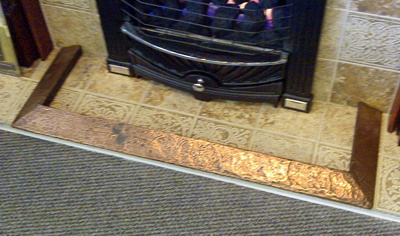 HEARTH FENDERS were designed to be placed on the hearth to help keep logs from rolling out onto the floor. Today they're most commonly used to help create a focal point, but they're also handy to help keep children and pets away from the fire. 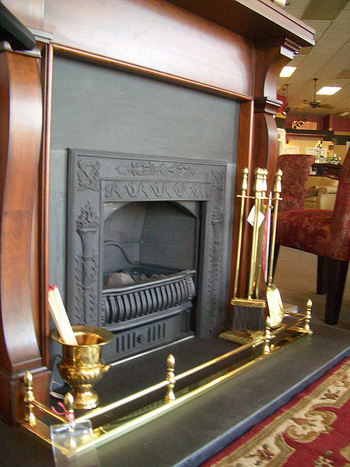 Fenders were once considered an essential element for a formal fireplace. 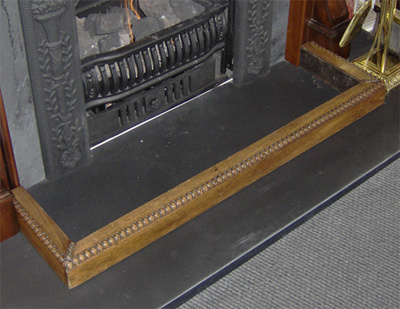 As fireplaces have been converted to gas, manufacturers of fireplace fenders have dwindled to where we have no current sources for the elegant styles suitable for a formal fireplace. 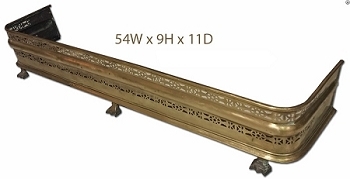 We have now made it our business to find and restore antiques, adding much value to the fenders you'll find here online and in our retail store. Our selection changes often as they come and go, so if you find one you like then it's best to grab it quickly. 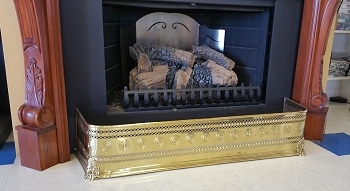 GAS LOG FENDERS/FRETS are decorative pieces you can install in front of gas logs to hide the controls and customize your logs. See FRETS here. 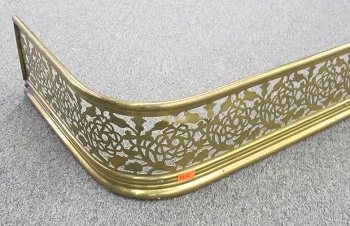 Tulip Pierced Brass Fender 36.5"